With vehicle exhaust emissions, global warming, sea level rise, the case of deterioration of the global environment, we should use the eco-friendly wood plastic floor reduce the felling of trees, so as to achieve the purpose of protecting the environment. 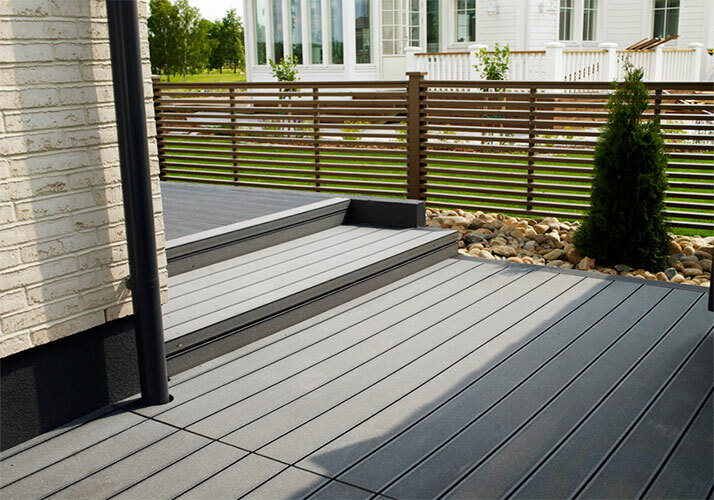 wood plastic composite floor can protect forest resources can absorb large amounts of carbon dioxide, it can slow down the rate of global warming. Of course, you want to live in a place that looks and feels “livable”.It has to be cozy, comfy and has a good ambiance. use eco-friendly wood plastic floor will help you achieve that. wood plastic floor create a cozy and comfy ambiance. It would make you feel more at home and will also make you wanna go home! 5. Achieves outdoor landscape function. wood plastic composite widely application in our life, not only use for interior, but also use in outdoor , such as: park ,museum , marina and so on. These are the reasons why I use wood plastic products, because it eco friendly, can make us more close nature.